Could your closet use some organizing? Typical heavy sliding closet doors. There are a great couple of articles on built-in closets and wardrobe walls, from starcraftcustombuilders. There are a lot of homes built in the 70’s or earlier with tiny closets and those heavy, sliding closet doors that when open still block 1/2 of the closet; this can be very frustrating for clothing storage and other storage items! Most of us, especially those of us who live in and love old houses, are stuck with those tiny reach-in closets. They may be dark little recesses stuck in one corner the room behind a narrow door. Half of the clothing stored in them is pushed into corners where it cannot be easily seen or reached. Anything stuck on the upper shelf is lost. There is a limit to what closet organizers can do. De­signs are limited to what can be made to work inside a ty­pi­cal clo­set. Closet doors create blind areas at the sides of the closet that restrict visibility and access. If pullouts are installed, doors limit pullouts to the doorway opening — the shoulders cannot be used and become largely inaccessible dark holes once pullouts are installed. Bifold doors are worse and bypass (sliding) doors are even more restrictive. Don’t closet, think storage. Maybe a closet is the best storage solution for wardrobe organization, or maybe not. Reach-in closets have serious structural problems that have no real solution. So, for the most effective wardrobe storage, the first step may be to recognize that the closet may not be the best solution to clothes storage and open our minds to some alternatives. In fact, think about getting rid of the closet for something better. A better solution for most homes — especially older homes — is a space-conserving wardrobe wall. 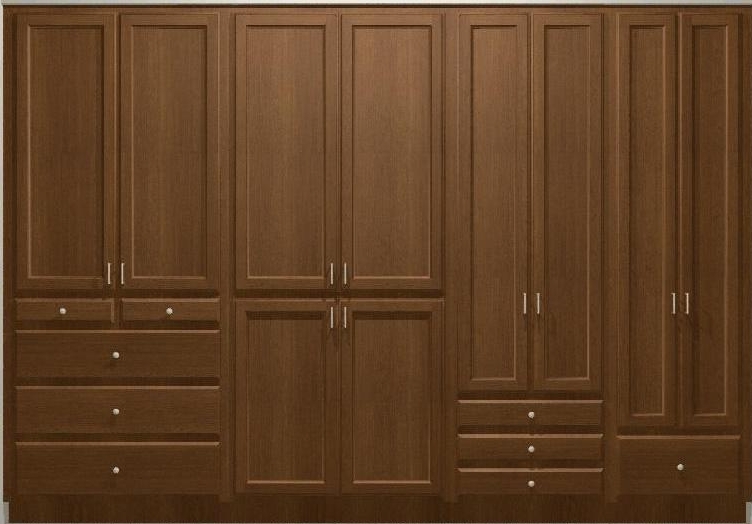 In a wardrobe wall, the restrictive closet doors are replaced by cabinet doors and drawers for easy access to stored items. 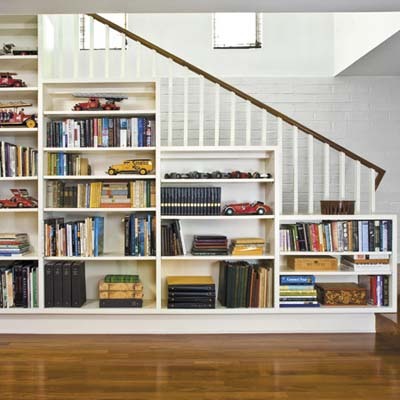 Most homes have unused spaces that we would like to utilize, but how? Add to that issue, a general need for more storage space. I found a great article with wonderful pictures showing some great ideas. It is located at one of my favorite blogs, Jeb Design Build. The photo below is from the Jeb Design Build article. Check out the built in closet pictures from the website: www.cascadeclosets.com. There is one in particular that I like because it looks like one of my closets (small). Of course, everyone has their own ideas on what they would like to put in their closets and so the layout will be different for each person. That is where the designer comes in. Unfortunately, I do not have my dads skill with tools, so when I “do it myself”, the results are not as aesthetically pleasing as I know they could be. 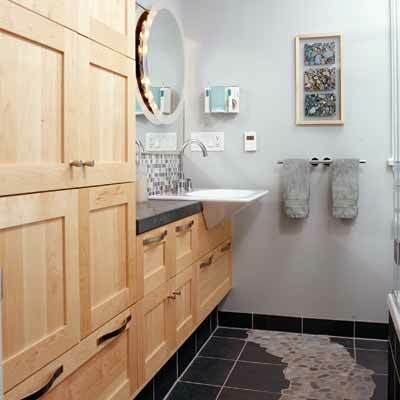 So, if you are like me and are looking for a well made, organized and efficient space to fill that rectangular hole in your bedroom wall, first decide generally what you want and then select a well respected local contractor to build in that closet. I know you will LOVE being able to put “that stuff” where you can lay your hands on it the next time you need it!